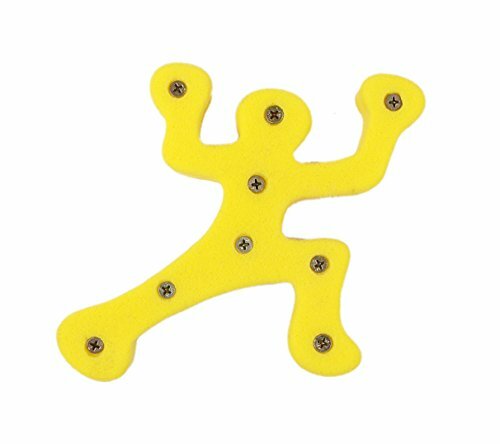 Lots of ideas to use the Climber dude. Read on... Let us count the ways... -use as a positive edge. He is about 1 1/4 inches thick so he makes for a very large straight edge. -use as a Christmas ornanment. Every tree needs a climber dude. -screw in to the men's bathroom door. We are in the process of shaping a Climber girl. Whatever you choose, you are sure to have fun with him. Great variety for a all routes. The Atomik kid's jugs are awesome on steep walls. Super unique angles and design. Yellow colored hold. Colors will vary from the photo.